Huge improvement on Ugly Heart, wouldn't mind seeing this having the same success it had. Seems I like it enough for a 4 now, unexpected! The chorus is okay but overall the whole track is quite missable. Uitstekend popnummer. Misschien nog wel beter als 'Ugly Heart'. Jammer dat ze nu maar met 4 meer zijn door het overlijden van Simone Battle. Toch knap dat ze gewoon doorgaan met muziek maken. There is certainly a melody to it, although it is rather repetitive. Enjoyable song and has exceeded my expectations although it had the potential to be even better. Also, even though I like the meaning of the song and the subject is obviously personal to them I can't get over the fact that none of them have any writing credits on it. 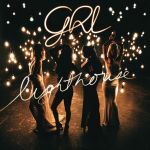 Muss eine schwere Zeit sein für die 4 Girls!<br>Gewidmet an ihr verstorbenes Mitglied Simone Battle...<br><br>Solide Popnummer. 4*+<br><br>R.I.P. Simone! Beautiful track and acts as a great tribute to their former band mate! May you rest in peace, Simone. I didn't like Ugly Heart but this one is lovely. This is quite a good follow-up to "Ugly Heart". I really like the vocal strength in the chorus and pre-chorus especially. One thing that kind of distracts is the fact that the second pre-chorus isn't as strong and direct as the first and this bothers me somehow. However, this is really solid and an appropriate release considering current circumstances. Better than "Ugly Heart". That's the best compliment I can give this song. Weitgehend unspannende Pop-Produktion, die ebenso professionell wie beliebig geraten ist. Gerade die "Oh"-Parts kommen einem schon etliche Male gehört vor.<br><br>Gute 3 somit bei mir leider nur.